Disclaimer: I do not own the Power Rangers. I do not own Super Sentai. I also do not own Rescue Force or Fire Rescue. They all belong to whoever currently owns their copyrights. This is a fan work produced for non-profit. Garth is an original character based on a combination of sources including X-Men and Guyver. 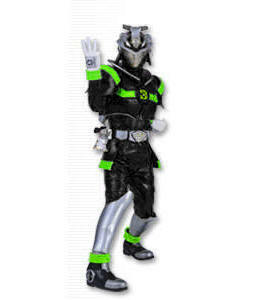 His armour is based on the Demon Hunter from the GoGoV movie. Nancy is an interpretation of Nancy Cooper from Lightspeed Rescue. Her armour is based on the female Demon Hunter from the GoGoV Movie. The deployment of her armour is borrowed from Iron Man. His gun tracked her movements as she spun away from his sword thrust. He fired. She skilfully dodged the series of shots that laid waste to a wooden table. He kept firing, his computer assisted targeting system anticipating her next moves. Each shot was narrowly avoided as her own computer system predicted his intention and formulated the best response. He switched his weapon to rapid-fire and unleashed a volley of shots that tore through the visitor couch and punched holes in the far wall. A warning lit up his screen and he ducked to avoid the foot stool she had kicked in his direction after allowing one shot to strike her. It was off target due to her loss of balance after being shot, but it was close enough to make him take evasive action. At which point she gained the upper hand. Her sword was out and as he paused, she propelled herself in his direction, targeting his should with a downward strike. He rolled to the left and brought his own sword up to block it. His intention had been to fire the shotgun still in his left hand, but her systems had anticipated such a response. Her right foot slammed into his chest, forcing him to stumbled back into the wall. Her sword jabbed forward only to be blocked by his own weapon. From there the two began a deadly dance around the wrecked office space, tearing into the outer office and around the reception area. Swords, guns, fists and feet flew as each tried to gain the upper hand. He was slightly taller and broader with a very small reach advantage. She relied on her speed and combat skills to make up for the slight disadvantage and the upgraded armour she wore to spring a few surprises of her own. They spun, twisted, ducked and leapt to avoid their opponent’s attack and hopefully gain the deciding blow. The computer assistance that each received made their moves all the deadlier until finally they reached a point of stalemate. Both were slightly out of breath, their sword blades resting against their opponent’s throat while the barrel of their gun was level with their opponent’s chest. Their computers rapidly searched for the best means of escaping, but failed to come up with a winning strategy. Both took the decision to ignore the hundred or so strategies and use their own. She spun to the left, intending for her sword to strike his head. As she rolled the shot from his rifle narrowly skimmed the side of her chest. He own shot went wide, knocking his sword off target. Her own sword blow had been on the mark, but the need to dodge his shot meant it lacked the force needed and was easily knocked aside. Still she was not to be denied and completing a full turn as she lowered her body to the floor, she stood to find her gun pointed directly at his chest. She didn’t hesitate in firing. While she had been moving to deliver her final shot, he had adjusted his position to allow for his strategy. As the blast from her gun struck him in the chest, his sword was already swinging. As the blast deflected from his armour and she was thrown away, his sword struck her across the chest. He allowed his targeting system to direct his movements as he raised his rifle and opened fire. The sword shot to her chest combined with the deflection of her own shot pushed her back, but she was not done. She rolled back into a standing position and allowed her targeting system to direct her as she threw her sword at him. The computer confirmed that she had missed just as she ducked to avoid the potentially fatal shot that ripped a hole in the wall behind her. She toppled over and lay still, unable to move as the chest strike caught up with her. She was relieved to see the same was true for him. The room grew brighter, the walls collapsed down as the training program ended. A small team of technicians helped her to her feet just as another team did the same for her opponent. They picked up their weapons, returning them to their storage holsters before crossing the training area and shaking hands. “System Command: Armour Off!” Garth Nelson ordered, causing his armour to return to its resting position. The power unit in his chest sank back beneath the skin as his heavily modified body shifted into its more human-looking form. “System Command: Armour Off!” Nancy Cooper commanded. Her armour shrank back into the special storage compartments that had been strapped to her limbs and back. The small power unit was encased in its safety package before joining the armour in her backpack. she quickly released the straps and opened a storage case that allowed her to carry the armour in a single container. She secured the lock before allowing the box to return to its storage space. Garth had been training constantly since joining Lightspeed. The modifications he had undergone at the hands of government scientists had made him a living weapon, but he had needed to train constantly to develop the technology they had used into a means of fighting. The implants inside his cranium had been enhanced when his armour’s computer system had been connected to Lightspeed’s computer. It allowed him to receive the same operational data that the Lightspeed Rangers used during their missions and to use those computers for extra processing space. The armour Nancy had been testing was very similar to Garth’s but had not been internalised. 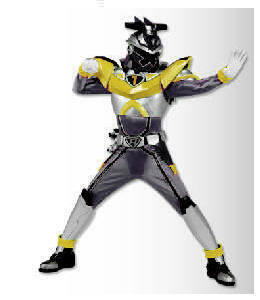 Instead the components were deployed in a similar way to the Lightspeed Rangers’ uniforms. Instead of an internal computer, Nancy’s helmet carried all the components needed to give her similar capabilities to Garth. It was only when they were acting without armour that it became clear that Garth was the augmented human soldier and Nancy was the highly skilled operative. Both were considered an asset. He watched as Nancy’s face fell. He knew why: this project was her last link to Lightspeed after the Lightspeed Rangers had made it clear that they would never accept her as a sixth Ranger. That the Lightspeed Rangers had threatened to quit if forced to work with an unwanted teammate, had forced Captain Mitchell to scrap the White Lightspeed powers they had built for Nancy. However he had decided that the building and testing of the new armour required an experienced operative and had offered Nancy the job. Sadly with the testing at an end, so was Nancy’s reprieve. Nancy was confused. She had been led to believe that she had been testing Lightspeed’s attempts to duplicate Garth’s armour without the need to surgically alter the bodies of those using it. “But I thought there could only be five Rangers,” she protested. They had tried find a user for the Titanium powers but it had proven impossible. The damaged morpher had been repaired but the power cells were still overcharged. It had been theorised that once somebody had successfully transformed using the Titanium Morpher, the excess charge would be stabilised and the device rendered safe. The problem was that nobody could survive the transformation process without either collapsing or worse. Carter had tried and failed when it had been suggested that as an active Ranger he would be used to the strain of the first transformation. The Red Ranger had been left panting but otherwise unscathed. Garth had also tried and had collapsed under the strain. There had been a few cases where humans had willingly aided the demons in return for power. So far Lightspeed had managed to put a stop to whatever schemes they had come up with, but there was at least one self-proclaimed demon priest stirring up trouble. Lightspeed’s shareholders and the organisation’s reliance on government backing had limited their role. Maybe of the shareholders wanted to sell the plans for the Lightspeed Rescue Zords to the highest bidder. Fortunately the plans and patents for other technology were held by a separate trust. The creation of the Demon Hunters placed part of their activities outside of the direct control of the military. The creation of the Lightspeed International Rescue Force allowed Captain Mitchell to dispose of their older equipment among trusted organisations. The Demon Hunters and Rescue Force split the role of Lightspeed between fighting evil and saving lives and Captain Mitchell was certain that with that clear division he could win any potential arguments. “What about the Rangers?” Nancy asked. Dana and the others had made it clear they would never accept Nancy as a member of their team. Their actions had forced Captain Mitchell to consider disciplinary action against the, but they were deemed too important to place on suspension. And there was the final piece of the puzzle. Captain Mitchell had created two new forces to allow Lightspeed to carry out its missions without outside intervention and prevent the Lightspeed Rangers from threatening to quit to get their own way. And with both the Demon Hunters and Rescue Force available to provide additional support during a mission, Mariner Bay had also become a safer place in the process. Disclaimer: I do not own the Power Rangers or Doctor Who. They belong to the copyright owners. This is a piece of fan work and no profit is being made from this. “Out there in space, will we find friends? Is there a place, where the universe ends? Captain Mitchell finished reading the police reports and considered his response. Normally Mariner Bay had a low crime rate. There were a few robberies and the occasional case of looting during a demon attack, but for the most part violent crime was not common despite the dark powers that lurked close by. Therefore when there had been a sudden rise in the number of unexplained deaths, the police had asked Lightspeed if there was any demon involvement. At first glance Captain Mitchell had been inclined to return the matter to the police, asking them to investigate a possible serial murderer. It had been his assistant that had pointed out that despite the state of the bodies – each had been missing at least the heart – there was no evidence of a violent death. That something was harvesting the organs shortly after they died had caused Captain Mitchell to consider his response. His mind drifted to the reports of a cemetery where one of the graves had been opened and the body removed. He could not shake the feeling that it was somehow linked. He just didn’t know how. Twenty hearts, twenty brains, right assorted limbs and many other body parts had gone into making what Pierre considered his greatest work of all time. Boiled in a vat of blood drained from over one hundred victims, the raw materials had been rendered down and then combined with the remains he had personally stolen from the cemetery. The result was a hideous patchwork of body parts that had somehow taken on the shape of a human being. It lay inert, waiting to be given a semblance of life. “A part for a part, a hear for each year, we’ll have you alive yet, don’t you fear,” Pierre toned as he continued to cast the many preservation spells that would stop his creation turned into a soggy mess. For now the body was as ready as it could be. The powers he had used had bonded the spare parts with the bones he had taken from the grave and had made them a single being. Biologists studying the process would have witness the many strands of DNA alter to become identical to the original. But without the spark of life the body would only survive a short time and was at best a zombie. Fortunately Pierre had a solution to that. Soul magic was not easy to work, especially when the soul being summoned was not a demon and had been dead for more than a year. But Pierre had been repeating his incantation several times a day, gradually drawing the spirit into his grasp. He enjoyed watching its desperate attempts to flee back beyond the veil, it’s good nature abhorred by what he had in mind. He laughed as he watched his victim struggle. It was a rare opportunity to torture such an innocent soul. Barely able to comprehend all that was happening, shocked by its sudden appearance in a world where it no longer belonged. Every day it was forced to endure a year in the life of some stranger. It had fought at first, then grown curious, then jealous. Now with each passing day the soul lost a little more of its innocence, becoming the soldier Pierre desired. There was a shriek as the captive soul was drawn into the monstrous body. The moment it touched the body started to shift and reshape itself. With a living soul in place it looked human and as the second part of the spell took hold, the eyes opened. The man drove his car along the twisting road, his two children secure in the backseat. It was raining and the driver lost control. The car spun off the road and over the cliff, crashing down on the rocks below. Shockingly the man and his children survived, but the car’s fuel tank had ruptured and the battery had started to short circuit, causing sparks. With only a limited time the man knew he had time to save only one of his children. He could only release and carry either his son or his daughter to safety. The man turned as he heard the voice, shocked and angered to see a demon standing before him. The flames and everything else around him seemed to have stopped. “What do you want?” the man demanded, his hand moving to a gun he kept in his jacket. Seeing that the man was not going to ask, the demon pressed on. The demon enjoyed playing with the emotions of others. It enjoyed the torment it saw upon the man’s face as he tried to decide which child he would give up. The demon enjoyed the knowledge that it had won. “Neither!” the man decided, shocking the demon as he rushed to the car. The demon laughed as it watched the man struggle, knowing full well that he could not carry one child away and return for the other before the car exploded. He heard the man say something to his son before grabbing his daughter and running. The boy somehow managed to free himself from the car and screamed for his father to help him. And that was when the car exploded. In the flash of the fireball, Pierre shed his guise of just another demon and made his way to the burning wreckage. He pulled the son from the flame and took him away into the night, leaving the father to grieve. Pierre gasped as he found himself back where he had started. He could sense the changes his little spell had caused. The boy’s memory of events had been altered so that he believed his father had abandoned him and that he had been raised by Queen Bansheera’s Court. His mind held the memories of the training he had received, of the torture and ridicule heaped upon him by the demons as they had forced him to fight for his continued existence. His anger at being abandoned combined with his hatred of the father that had chosen to abandon his son in favour of his daughter. All those thoughts and memories surged through the mind of the newly awakened children. Except now he was not a child. He was a fully grown and very angry young man. The corruption of the lines of magic surrounding the Earth had been short lived and had only affected a small area. The event did however have side effects such as disrupting the magical waves that flowed from the planet. Normally such a short and localised disruption would pass unnoticed by others. There were however some exceptions. Ask a mage capable of perceiving magic as a physical object to describe the Earth and they will tell you that it shines like a ball of magical energy in the night’s sky, the many line of magical energy crisscrossing the light to give a dazzling effect. “It shines,” they would tell you. Ask them what the Earth looked like during the time when Bansheera and her clan considered it their world and they will tell you that the Earth still shone like a beacon in the night along with the many other worlds that eventually fell to the darkness. The legends stated that Queen Bansheera had been banished from Earth and imprisoned by a powerful wizard. Those claims were wrong. Bansheera had never been defeated, had never fought a wizard, nor an army of young warriors. She had left her kingdom on Earth at the time when her empire was at its strongest to oversee the rest of her empire that resided within one of the many Hell dimensions. It had been after the humans had closed the doorway between Earth and her domain that she had been trapped, unable to find her way back to her palace on Earth. Now the servants of her court had been released that doorway had been partially opened and the way back had become clearer. However Bansheera lacked the strength to break through the barriers between her dimension and the Earth from her side. She had been in communication with her servants as a spectral being, but she wished to physically reclaim her territory, which meant travelling there personally. When Pierre had started his spell his intention had been the creation of a dark warrior to help the demons destroy the Power Rangers. His goal had not changed. But his scheme had relied on sorcery so dark that it had corrupted the magic of the planet for a short time. Unwittingly Pierre had given Bansheera an opening and the Hell Queen had wasted little time. The entire arsenal of the Ultrazord struck Beast Master, causing the villain to scream before his body was thrown into the air where he remained suspended by the energy that was tearing him to pieces. Then the attack ended and he plummeted back to the ground. His body cracked, the evil spirit contained within desperate to get away. He coughed violently, spewing up a small orb that was lost under his falling body. …Or so they thought. The Rangers had been busy at the time; too concerned about the Elemental Beasts and Minion to worry about whether the Beast Master’s destruction had been total. They had lacked the opportunity to investigate the orb he had ejected and by the time they were able to do so, they found no trace. So it was forgivable given their distraction, that they had missed a few people that the Beast Master had still controlled at the moment of his destruction as they carried out his final command and removed the orb from Angel Grove to a place where it could receive the energy needed to begin its development into a new Beast Master. Those slaves had been listed among the missing of Angel Grove although their deaths had occurred many miles away in Springwood, Ohio. There under the concentrated fire of Serpenterra, they had met their end and the orb they carried had been supercharged by its destructive ray and buried deep beneath the rubble. Serpenterra’s blast had changed the landscape forever, raising the water table and crumbling the bedrock. Even as the ash and sediment from the former town settled, beneath the surface the wound festered. And within the murky, molten, steaming sludge, the orb had rested, nurtured by the agonised spirits of those that had lost their lives. Still unformed it displayed abilities similar to those of its parent, ensnaring the spiritual energy of those that had been killed during its awakening. The Beast Master had been depicted in the legends as a demon that merely controlled the Elemental Beasts. In truth he was just another beast that had evolved without their great power. Instead of power he held an intellect that allowed him to direct his brethren. And like the Beast Masters before him, he had been capable of giving birth to a new generation of beasts. Fed by the ghostly despair of those that had lost their lives in Serpenterra’s assault on Springwood, it had fed upon the poisoned ground, using the negative emotions to grow powerful. For a long time following the defeat of Minion, the town of Springwood had been cordoned off as uninhabitable. The land was too unstable for teams to even consider trying to reclaim the lost land or the many bodies that lay among its ruins. And then over time the area was deemed lost and designated as a monument to those lost. Untended the souls of those that had died there had been unable to move on, transformed by the dark energy within the land into vengeful lost spirits. Their hurt and anger caused the tiny seeds that fell from the Beast Master’s egg to grow and rot, feeding the soil with the chemicals needed to and soon turned the area rotting pool filled with the nutrients and magic needed to bring forth a new generation of Elemental Beasts. And as those embryos grew, they were carried upon the magical winds to distant parts of the planet, awaiting the Beast Master’s call. Yes, this was the perfect place of death and rebirth, hate, fear and evil. It was the sickly combination of darkness that polluted the land that drew Pierre to the site, just as a short time before it had attracted the attention of two Duke Orgs. While their goal had been to find new Orgs to give themselves a purpose, Pierre sought to use the land as the final stage in his projects development. The creature that accompanied was technically human. It was composed of the rotted remains of a body Pierre had stolen from a grave combined with a soul he had snatched from its resting place. He had combined the two, poured in memories and knowledge and fed it on an emotional diet of pain and hatred. And now the time had come for his little project to be granted a new life in servitude to Queen Bansheera. And its first task when complete would be the destruction of the Lightspeed Rangers. The land bulged and swallowed the walking flesh as a roar was heard that echoed around the world, distorting the planet’s energy as it did so. Unnoticed by most it heralded a new beginning and the arrival of darker times. And as Pierre watched, something vaguely human started to take shape. Dappu was a spoiled brat. He had everything money could but and the full benefits of his parents’ hard work. He also knew that he was going to be in deep trouble when he got home. A teenager by the standards of his people, he had been grounded after failing his classes for the third time. His parents had taken away all his privileges and hired tutors to help him improve, but Dappu had been more interested in surfing the space waves than earning a passing grade. His parents were bound to punish him for sneaking out to go planet skimming, especially after curfew and without asking permission to borrow the space pod; for most space travel was reserved for traders and commercial flights with very few families able to claim to own their own shuttle. Still he wasn’t worried. His parents were rarely at home – for despite their attempts to cover up the fact he was well aware that they had separated and his mother was living a very successful, happy and independent life away from her husband – and despite how tough their staff tried to be when maintaining discipline, the fact remained they were just staff. Besides, it was only supposed to be a short trip around a few of the nearby star systems, using the tidal effect of the stars as a means of changing course at the last possible moment. What could go wrong? Unfortunately Dappu was so spoilt and so shielded by his parents that he had been left unaware of the dangers facing him. He had not known about the bounty that had been offered for the capture of his father, a widely acknowledged expert in the fields of magical engineering. He had not been told that those seeking to claim the bounty were waiting just beyond the shields that prevented them from simply raiding the planet and taking whatever they wanted. Had he known he would have sneaked out in the other direction. Dappu’s planet Savoth was protected by a genetic shield that only allowed approved vessels to pass if they carried a resident of the planet. Otherwise they had to seek permission and were monitored closely from the moment they entered the shield. Even with permission non-residents were limited to the spaceports and had to wait for approval to go elsewhere. However those precautions could be circumvented with the capture of any member of their race. At that point a bounty hunter would have the means to pass through their shields and help himself to useful members of society. And nobody had stated what condition that resident had to be in, which was why Dappu was making every effort to escape after being chased by the bounty hunter across several systems. In his mind this was far too high a price for sneaking out. He had managed to keep ahead of his pursuer, but his luck had run out when he had entered Earth’s solar system with the intention of using one of the tidal currents to slingshot his way onto a new course. His entrance coincided with a magical distortion, the result of a ceremony taking place near Mariner Bay, and his swerve carried him wide. Out of control his vessel had plunged into the atmosphere, forcing him to make an emergency landing. Unable to fully control his descent he landed at his earliest opportunity, the hunter close behind. The end of the school year was approaching and for the five friends it was accompanied by an odd feeling of deja vu. The classes all seemed familiar, the events planned by the school’s faculty almost the same as the previous year. The only difference seemed to be in the alien forces that attack the planet. The previous year the monsters had been directed by Divatox. This year nobody seemed to control the random mix that tried their luck at conquering the planet. The five youths of course knew all about the monsters attacking their world, since two of them were the planet’s first line of defence and the other three had just months earlier been an essential part of that team. Justin Stewart and Fred Kellman were secretly Power Rangers. 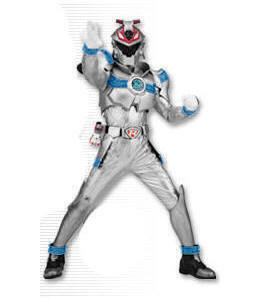 Drawing strength from the Power of Turbo, Justin was the Blue Turbo Ranger and Fred served as the duo’s leader, the Red Turbo Ranger. They were accompanied by Tasha Young, Rosa De Santos and Franklin Park, the former Yellow Turbo Ranger, Pink Turbo Ranger and Green Turbo Ranger. Although they had lost their ability to safely transformed when their Turbo Keys had been damaged – for an expert friend had already determined that it was the transformation devices and not the teenagers at fault – they remained as support for the two active Rangers. When the senior Rangers returned from their mission to liberate the watery world of Aquitar – a planet that would take decades to recover from the decimation reaped upon it by Minion and others – the Turbo Rangers had the guidance and experience needed to overcome the many varied threats they faced without the need for reinforcements. They had even found a way to temporarily switch powers, allowing Tasha, Rosa or Franklin to replace either Justin or Fred in battle. It had highlighted just how little they understood about the nature of the Speed Force from which they drew their power. “So, Ernie’s?” Rosa asked, causing the others to grin. It was a familiar conversation when school finished. Normally Tasha and Justin needed to check in at the children’s home, but recently they had been allowed to stay out a little later. “Fred it’s Zack,” a familiar voice replied. With Zordon and Alpha still away, the older Rangers had been taking it in turns to monitor the Power Chamber. Working in shifts they watched for signs of trouble and alerted the active Rangers only if there was an emergency. Of course they also spent their time training as Zordon had encouraged them to do, expanding on their knowledge of their powers and the abilities those powers granted. “Either way we need to check it out,” Rosa guessed. The others nodded. Even if it wasn’t part of an invader, allowing aliens to settle some problem on the planet could spell trouble for civilians. Dappu forced himself not to panic as his ship made a very bumpy landing in a wooded area close to Angel Grove Park. His vehicle had not taken the unexpected landing well and the imperfect angle of re-entry had damaged its exterior. And thoughts of sneaky the shuttle back and pretending nothing had happened were gone. If he was lucky his parents would stop at skinning him alive. And that was assuming that whatever had been chasing him had a change of heart. He flicked a button on the console, activating the ship’s external viewer. That allowed him to observe the local inhabitants and change his clothing to fit in. The result was far from perfect; the bright red tee-shirt and blue shorts only highlighted that he was not human. Anybody that caught sight of his large ridged head could tell he did not fit in. How he wished that he had brought some sort of disguise technology with him. At least he didn’t need a translator. 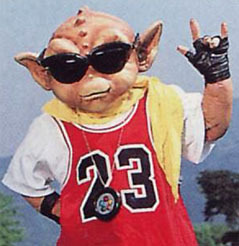 “Yo dudes, how ya doin?” he shouted as he approached the nearest group of locals, a group of kids playing soccer. Unsurprisingly when approached by an alien with a big mouth, the kids did as they had been taught by their teachers and ran for the nearest place of safety, shouting a warning to other park users. Dappu groaned as he turned around to find a weapon pointed in his direction. It seemed his pursuer had not only tracked him and survived landing, but had already discovered his whereabouts and was not worried about whether or not he survived. Red. That was the first thing that Dappu realised about his tormentor. He was red, very very red. 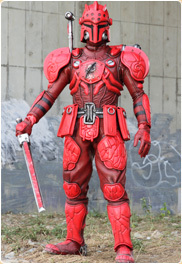 indeed apart from a few areas that were black, the majority of the armour that he wore was unquestionable red. The sword he held in his right hand was also red and if he had to guess, Dappu would be unsurprised to find out that the other sword he wore on his back was also red. Admittedly there were two types of red, the dull matt red that covered the majority of his form and the brighter, glossier red that accounted for the armour plates attached to his shoulders and legs. His helmet was red and black. He swung the sword, firing a bolt of crimson energy at the alien youth. Dappu ducked to the side, but realised he had nowhere else to go. Another sword blow and this time Dappu had nowhere to run. His life flashed before his big blue eyes before a loud clang caused him to peek through his fingers. Red and Blue Turbo stood between the bounty hunter and his prey, their Turbo Swords preventing him from delivering a final blow. “Maybe you should stop playing with sharp things before you get hurt,” Red Turbo suggested. As he bellowed the last sentence, a wave of fire erupted from the end of his blade, blasting both Rangers. As Blue Turbo grabbed Dappu and ran for safety, Red Turbo stood his ground, allowing the Tyre Shield to work its magic by absorbing a large chunk of the blast. “Auto Blaster!” Red Turbo called, opening fire as soon as he dropped the Tyre Shield. His shots were on target, but Kiaido was more than capable of blocking them with his swords. “Turbo Lightning Sword!” He leapt up, aiming to bring the sword down in a solid blow, but found his attempt blocked by the bounty hunter. Instead of letting his frustration show he repeated the move, this time shifting at the last moment so he could roll away and allowing Blue Turbo to catch the bounty hunter with a shot from his Turbo Hand Blasters. Again Kiaido proved his skills with his swords, throwing the first back at Blue Turbo while he deflected the second at where Red Turbo had been standing. Only then did he realise that Red Turbo had used the distraction to take another swipe at him. Although he blocked it he was forced to concede that the Turbo Rangers did possess some skill. With his prey gone he decided to withdraw for the moment. While Justin and Fred had been dealing with the bounty hunter, Franklin, Rosa and Tasha had teleported Dappu to the safety of the Power Chamber. There his identity had been confirmed and so had his story. Although when he had started messing with the computers, the former Rangers had agreed to take him elsewhere as soon as the fighting was over. That had been two hours ago and with the help of a device to keep civilians from noticing that Dappu was not human, they had taken him to the Youth Center while they worked out what to do next. “We’ll look for it after that guy’s been dealt with,” Franklin promised. Dappu was not happy with that answer. If he had expected the teens to show some sort of concern he was in for a surprise when they started laughing at him. It was Rosa who broke down laughing first, but the others soon followed. They had heard from Tommy and the others how stuck up some aliens could be. Over time the older Rangers had come up with ways to give them a little reality check. The portly owner of the Juice Bar hurried over, hardly raising an eyebrow at the alien that had been forced to sit watching the television; the Rangers had given up trying to fool Ernie, especially when he was inside the Youth Center. Grumbling slightly Dappu put his hand in his pocket and pulled out some coins, which he handed to Ernie. Only for Ernie to hand them back with a shake of his head and an apologetic smile. “That is money,” Dappu protested. While she was making her point, Tasha paid for the drinks. “Miserable backwater,” Dappu complained as he shoved his money back in his pocket, causing a strange medallion to tumble out. Instinctively Tasha grabbed it before it hit the floor and when she did so it flared with yellow light. Unsure what had happened she handed it back to Dappu, who had stopped complaining and was looking at the three former Rangers speculatively. “Here, drink this,” Tasha told his as she passed him a Coke. Dappu had been surprised when his amulet had flared. It was something his mother had given him years before. She had tried at the time to instruct him in the use of the near-magical energy it channelled. He had given up after discovering that he could not use the powers himself, he could only channel them into objects or other people. He had found that he could use it to enhance some of his father’s creations, but his efforts had never been appreciated. He couldn’t believe that when his amulet had reacted the female had hardly reacted. He knew many others would have demanded an explanation and then that he supplied them with the powers his amulet could provide. What was wrong with these humans? It didn’t take long for Kiaido to resurface and when he did it was clear he had a plan. The bounty hunter had retrieved Dappu’s ship and threatened to destroy it. Naturally that drew the two Turbo Rangers into battle. This time though the bounty hunter was prepared for a battle and didn’t hold back. 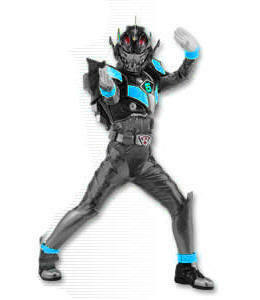 His sword strikes quickly incapacitated Blue Turbo, whom he then used as a twisted human shield against the Red Turbo Ranger. In a very short time he had defeated both Rangers and held them at his mercy. Actually when they surrendered his prize to him he planned to claim the bounty on the two Rangers as well. “So what do we do?” Tasha asked. The others nodded in agreement, surprising Dappu. He had expected them to hand him over in exchange for their friends. He would have done so in their position. Assuming of course he had any friends. “And no Megazord,” Tasha stated. The Turbo Rangers Zords had been heavily damaged while aiding the Lightspeed Rangers of Mariner Bay. 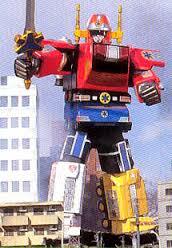 The result had been to combine two fleets of Zords together into a single Megazord. Sadly there had been no way to separate them and the Lightspeed Rangers had needed them more. “I really don’t want to ask the others…” Franklin trailed off. Pride was at stake. The Turbo Rangers had successfully defended the planet despite problems with their powers and Zords. Asking the semi-retired Power Rangers for help seemed like they were admitting defeat. “How about we change the rules?” he asked. “Come again?” Rosa asked. It was clear Franklin had some idea. The plan was simple enough: draw Kiaido away from Angel Grove to Mariner Bay where there were five active Rangers capable of assisting and a Megazord should the battle escalate. And given that the bounty hunter had probably expected either their agreement to his terms or an attack, this would surely throw his plan into disarray. Kiaido could not miss the sudden teleportation. It was easy to tell that Dappu and his companions had left Angel Grove. Tracking them to Mariner Bay took but a moment. Hauling the two defeated Turbo Rangers to their feet, he quickly followed. When he arrived he didn’t try to hide his presence, destroying a row of parked cars just to be sure he had the Rangers’ attention. He was unsurprised by the loud sirens that heralded the arrival of Mariner Bay’s defenders although a part of him suspected he had been set up. “Release your hostages and surrender,” Red Lightspeed instructed. 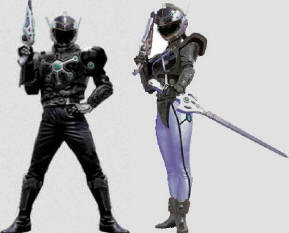 The Lightspeed Rangers had already drawn their side arms. With damage to the city their involvement was fully authorised. Kiaido laughed and drew his swords. He had no problem adding five more Rangers to his collection. In his excitement he had forgotten the Power Rangers were quick to recover and that once they had the opportunity, Justin and Fred were bound to to make a comeback of their own. Against two Rangers he had struggled a little, but against seven he had very little chance. 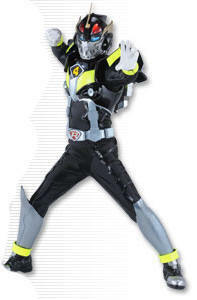 Blue and Green Lightspeed used their Rescue Batons to pin his swords away from the centre of his body, allowed Yellow and Pink Lightspeed to hit his with energy blasts. Red Lightspeed then delivered his own blow before the five Rangers of Mariner Bay backed up to allow Red and Blue Turbo a chance. It was a move the duo had been practicing since the Turbo Rangers had been reduced in number; Red Turbo sped forward as Blue Turbo fired his Turbo Hand Blasters repeatedly, one blast down each side of the Red Turbo Ranger’s path. Then when Red Turbo had built his speed to maximum, he jumped into the air and summoned the Turbo Lightning Sword, as Blue Turbo adjusted the angle of his shots so the two blasts converged on a single target. As the blast struck Kiaido in the chest, Red Turbo delivered a fully charged blow from his Turbo Lightning Sword. The combined attack was too much and Kiaido was down. Dappu was confused. When the three humans had spoken about running to Mariner Bay he had expected to be waiting a long time while Kiaido was defeated. Instead he was taken to a repair bay where his ship was waiting for him. “We figured teleporting a ship from Angel Grove to Mariner Bay would take more energy than Kiaido was willing to spend,” Franklin told him. As he looked around Dappu realised that the Rangers were going above and beyond the call of duty to help him. The machinery available and the parts at his disposal were more than enough to repair his stricken craft. As he looked around though he was struck by how much machinery there was awaiting repair. It was clear that despite going out of their way to help him, the Rangers of Earth were out of their depth. “What happened to your powers?” he asked as he picked up a wrench. He could fix things much quicker if he wanted to but did not trust the outsiders with his secrets. Still he was a skilled mechanic and his hands could work wonders, as he planned to show the girls at his school if they would let him. “Our Turbo Keys were damaged during a battle,” Rosa explained, pulling out her Turbo Key. “And since we were injured in battle, we can’t handle the powers anymore,” Franklin answered. He didn’t believe the Turbo Keys were solely to blame. Even using Justin’s Turbo Key he had only managed a limited transformation. Dappu nodded, a part of him wanting to ignore their plight. He could see the energy signature of the Turbo Keys. It was almost identical to the power his mother had taught him to use. A little different and he suspected that the powers were Liarian in nature. He could also sense that energy within the three teens. It was clear that their bodies had not fully adapted to the powers and that when the keys had been damaged, so had their undeveloped channels. As Lightspeed’s personnel turned their attention to doing everything possible to help him, a small part of him actually felt he owed them something. He shook his head to clear it. As if a bunch of humans were worth his help. Kiaido was a freelancer. He didn’t work for a witch who could use her magic wand or a pirate that was willing to blow him up to full size. Luckily in his travels he had learnt the advantages of being able to change his height and had acquired the potions needed to do so. And an added benefit of the one he used was that it restored his armour to full strength. “Uh oh!” Red Turbo commented as the bounty hunter grew before them. The seven Rangers rolled for safety as a monstrous foot stomped down on them. Then they attacked, using whatever means they had at their disposal. As Red and Blue Turbo wove between the villain’s feet, using their Auto Blasters to shoot at his heels and ankles, the Lightspeed Rangers used their rescue lines to climb his massive body, shooting their Rescue Lasers as they ascended towards his head. Of course such a strategy was only going to have a limited effect and when he stated swatting them, the Rangers decided to end the game and leapt for safety. “Turbo Rescue Megazord!” the Rangers called, summoning the hybrid machine that was a combination of both teams surviving Zords. Nothing happened and the Rangers realised they were in trouble. The alarms sounded, technicians rushed to find a solution to the problem and panic was starting to set in. The repair bay where they had left Dappu to work had sealed itself shut, locking the technicians out and the Turbo Rescue Megazord in. The cameras refused to reveal what was going on but it was clear that the machines inside were working at a frantic pace. Various consoles lit up in the Lightspeed control room as Zords momentarily activated and then abruptly shut down. The loud banging told them that Dappu was doing more than just fixing his shuttle. In all likelihood they had let an enemy inside the Aquabase and were about to lose everything. And then everything went blank for a second before the computers rest themselves and the consoles came to life. Despite knowing that the majority of their arsenal had been unusable at the start of their shift, the technicians could only watch in amazement as their systems came online, fully functional. Lightspeed’s head technician shook her head. They had work to do. They could figure out what had happened later. She glanced at Captain Mitchell and receiving a nod, decided. “Send the Zords!” she instructed, reminding herself that in future she might have to state which ones. For the first time the Lightspeed Rescue Zords raced into battle. Based on designs that had previously proven unsuccessful, they were now fully operational. Pyro Rescue was based on a large fire engine, Aero Rescue some sort of jump jet hybrid; Med Rescue was clearly intended to serve as an ambulance while Haz Rescue was equipped to handle dangerous objects. Finally there was Hydro Rescue, a giant water truck with a long range extinguisher jet. It was clear that these Zords were larger versions of the Rescue Vehicles Miss Fairweather had designed, but the designs actually worked. 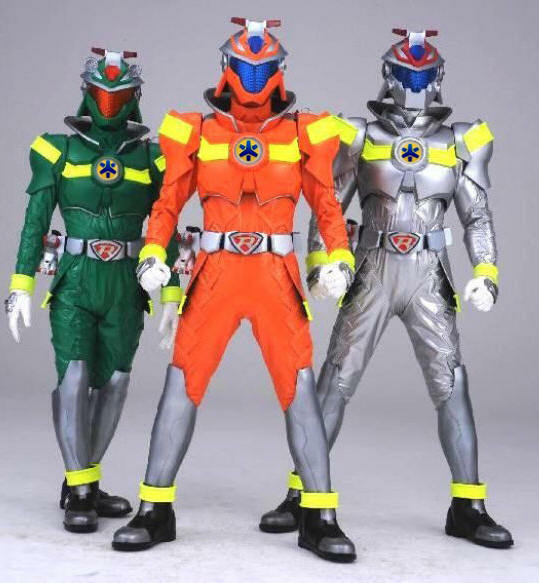 Without prompting, Hydro Rescue locked together with Haz Rescue and Med Rescue, the three Rescue Zords using hydraulic pistons to bend upwards to form a pair of legs. Meanwhile Aero Rescue had picked up Pyro Rescue using a set of magnetic cables and had hauled it into position atop the Megazord. The machine lowered its hand to the sidewalk as if waiting. The Rangers quickly realised what it wanted. “Come on guys!” Red Lightspeed cried, leading his team onto the waiting palm. From there they found themselves transported to a waiting cockpit. The moment they took their placed the machine stopped operating on its own, ready for their commands. “Lightspeed Megazord, online!” Red Lightspeed announced. However if the two Turbo Rangers thought they were going to be left out they were in for a surprise as the roar of engines heralded the arrival of the fully repaired Turbo Zords, which quickly combined into the Turbo Megazord. Faced with two Megazords, the bounty hunter was soon on the defensive. Once the Lightspeed Megazord used its extendable arms to knock him back and then grip him at a safe distance, the Turbo Megazord attacked. However it fell to the Lightspeed Megazord to deliver the final blow with a flaming sword that cut through the bounty hunter’s armour, forcing him to teleport away. While the Rangers celebrated their victory, the technicians were trying to get over their shock when they discovered that the Lightspeed Zords were not the only machines that had been fixed, finished and improved. It seemed that somehow the repair bay had been completely overhauled and with the advanced machinery available, it had restored and completed all the machines that the technicians had been working on. While the majority of them were intended for Lightspeed, it seemed some were intended for the Turbo Rangers and others were for something else altogether. It was going to take time to test and learn the systems for the new Zords. Miss Fairweather intended to make sure that Carter and his team worked relentlessly to master their new machines. Just as her technicians would have to work hard to maintain them. It was also clear that Dappu had not only fixed his ship, he had used the parts to upgrade the engines. And once it was confirmed that Kiaido was gone, Dappu wasted little time in preparing his vessel to depart. “The jerk didn’t even say thank you,” Tasha groused as the Turbo Rangers watched him walk to his shuttle. He stopped briefly and turned back to where the Green, Pink and Yellow Turbo Rangers were watching. He pulled out his amulet and muttered something, connecting himself with the energy field the Turbo Rangers referred to as the Speed Force; coincidentally it was the same power that Lightspeed had unwittingly tapped into to empower its Rangers. With a short chant a beam of light hit the three teens, engulfing them in multi-coloured energy. At first the light was broken up by areas of grey, but as he chanted, the Turbo Rangers glowed slightly. Then with a shrug he walked off making them question what he had done? Without another word, the teenage alien boarded his craft. It seemed the tales his mother had told him were true. Perhaps with time he could learn to use the powers properly. It would mean studying hard and catching up on the things he had missed. But Dappu was certain he would manage it. And if he failed he could always bribe the examiner. The swirling cosmic dust shifted around to form an image. The Mortal Realm had been formed by a flash of light, followed by a long period of darkness. What happened during those thirteen billion years was unknown, but a relatively short time after the darkness was illuminated by the newly formed stars, life emerged. Real life as opposed to the higher beings that had been created earlier. Life with an finite span that made it all the more precious. Life so short that those gifted with intellect and creativity could change the worlds around them with a theory. The Maltusians were one such race. Among the oldest civilisations in the universe, the Maltusians were considered strange by those that encountered them. For despite being a race of powerful wizards capable of directing extra-dimensional energy and bending it to their wills, they abhorred magic. Magic was too wild and unpredictable for them to control and what they could not control, they feared. In a doomed attempt to limit the influence of magic on the universe, the Maltusians gathered all the energy they could find and locked it within a containment unit, which the then threw into the depths of space. It would be eons later that they discovered that containing all magic was impossible since it was constantly flowing into the universe from beyond. The Maltusians were also the first race to prove the dangers of meddling with time as they unknowingly rewrote their own history when the scientist known as Krona sought to bring order to the cosmos and eradicate the unpredictable force of magic by viewing the moment of creation in order to isolate the cause. Despite being ordered to cease his experiments, Krona created a machine capable of glimpsing the distant past. However in his haste he had failed to understand just how old the universe was and his probe was pulled so far back that he only caught a glimpse of the origin point before his machinery exploded. The explosion had many consequences. The blast disrupted the path of the explosion that formed existence, fracturing reality so that instead of a single universe it became a multiverse. His anger at the failure of his experiment influenced the mind of The One during a time of emotional upheaval, leading to the split that created Light and Darke. And thirdly, the explosion caused enough upheaval to unleash Entropy from its prison and turn it loose upon the cosmos. The events rippled forward through time, causing the Maltusians’ attempt to control magic to fail and in doing so erased the confidence that allowed Krona to build his machine in the first place. The Maltusians could have become a major player in universal affairs. Perhaps they would have conducted an experiment that was unsafe and in doing so realised a new goal to bring order to the universe. Perhaps they would have become a divided race separated by their beliefs in how that goal could be achieved. Maybe given time they would have learnt to give others the means to exercise the powers they employed using willpower to bend energy to their wills. But that never happened. The Maltusians’ failure to contain the spread of magic caused them to look inward to maintaining order over their own world. Experimentation stopped and a great race for the most part was content to stagnate. Had they realised that their race had been rewritten by the meddling of another race to make them less of threat, they would have fought. But they never knew and the great forces they were supposed to bring to the universe emerged without their guidance. Not all the Maltusians felt that way though and from time to time a member of their race would decide to experiment with forces he did not understand. And Krona despite no longer being a scientist was still the sort that wanted to learn about existence. Krona believed that only through understanding could his people achieve their goals. To that end he carried out forbidden experiments using magic and discovered the means to summon those that lurked in Hell into the Mortal Realm. His first attempts were promising, but when he summoned a demon from one of the astral planes, he unknowingly created a powerful embodiment of twisted emotions: Nyghtmayr. The Maltusians were unable to send Nightmayr back to where he had been summoned from. They did manage to force into the Morphyus Realm. Krona was severely punished for his crimes, but the damage he had caused would not be easily reversed; Krona had unwittingly spread the twisted emotions Nyghtmayr represented throughout existence and in doing so had offset the natural advantage of Good over Evil. Servants of Nyghtmayr remained to do his bidding, finding ways to feed on the emotions they influenced to free their master. The Shadow Empire had formed at the moment of their master’s release and remained free following his imprisonment. Guilt ridden about the damage Krona had caused, the Maltusians discovered a way to fight the forces of the Shadow Empire. Unfortunately the method they devised required more than just willpower. It needed a powerful and creative imagination to direct the power. It was a weapon the Maltusians would never be able to use themselves and with their strong feelings of isolationism, one they were unwilling to share. Instead despite their regret, they resigned themselves to failure and returned to bringing order solely to themselves. “So time is a creation of the mortals then?” Noah asked. Few races inside the Mortal Realm were capable of perceiving the Celestials as they carried out their work. The Maltusians had glimpsed them briefly before their fall from grace. But it was important to remember that those that had seen them were only able to view their past actions. Not even the most powerful race could perceive them in the present unless the Celestials wished to be seen. Just like the Maltusians, those capable of understanding the giant beings were those that struggled to assume the role of dominant life form. The Cybertronians were one such race. Born as living metal from the surface of their world, they retained a racial memory of the ones that had first shaped it. The Celestial had been named Primus and his act of creating their planet along with its moons had carried down through the generations. Cybertronians had developed into living metal beings capable of changing their appearances to fit in or survive alien environments. Primus had revisited their world countless times, often reshaping the planet because it had not grown as he desired. Eventually though he had seemingly given up trying to guide his children and had vanished, allowing those that followed to tell the tales of their creator without realising just how long ago he had first assumed that role. On the distant world of Gallifrey an ancient race had looked into the past and had seen the Celestials. The people of Gallifrey never lost sight of the magnificent beings. They studied the physics behind their miraculous creations and in doing so found ways to reproduce the effects before sending their knowledge into their planet’s past. The knowledge altered their evolution causing their race to evolve faster than it had originally. The knowledge they acquired allowed them to cause supernovas and to trap a black hole in a pocket dimension. They discovered ways to travel in time and used their discoveries to undermine those that would challenge their position. The history of the Cybertronians was rewritten so that instead of living metal, they were mostly flesh and blood. They hid the true nature of the Celestial and then engineered a constant state of warfare to prevent the race from evolving. For a time they toyed with the idea of completely erasing the planet from history, but decided not to. While Cybertron was a rival to Gallifrey due to the advancements of its people, Krypton was a threat due to its expansionist policy. Many Kryptonians left the planet to colonise other worlds, taking their beliefs with them and risking the reality that Gallifrey envisioned. Since Krypton entertained some belief in magic, they could not be allowed to go unchecked. History was rewritten in an attempt to eradicate the influence of magic; the development of the Kryptonian was slowed by billions of years so that at the time the people of Gallifrey were fully evolved, Kryptonian society was far behind them. The ancient Krytonians were forgotten as the planet reached an age of enlightenment. The strategy had worked but in doing so they unknowingly contributed to the destruction of Krypton when generations later the populations dependence of science depleted the planet’s resources and caused its core to collapse. And then to prevent some unscrupulous opponent using their strategy against them, the people of Gallifrey engineered a means to keep themselves safe from temporal meddling and prohibited their own race from travelling to some parts of time. They hid the Celestials from even their own race, causing themselves to forget many of the principles behind their greatest achievements. The swirling dust formed a map of the universe as the mortals would see it. With a flick of his wrist, Solomos had the map spinning around as he zoomed in on the world known as Tython. “I thought this was a lesson in good and evil, not mortals versus gods,” Trelayne sneered. “So the gods and demons introduced the mortals to the Power,” Noah guessed. “Actually they just arranged a number of strange events to take place that in turn caused scientists to seek out the truth. That eventually led them to discover the power they had been overlooking for so long. It started slowly of course, a few warriors discovered that in battle they could enhance their strength and other abilities, or give their weapons a glowing edge that cut through their opponents; maybe even draw energy in from the environment and unleash it in a destructive wave. “Then another group discovered that they could make an opponent stagger from a blow just by imagining the strike, or read an opponent’s thoughts and plant ideas in his head. Some could even take control of their opponent. Or make them tremble in fear as they controlled the world around them with their minds. Images shifted into view of students trading techniques and exchanging ideas while scholars recorded everything they could. They saw how through trial and error the various methods were categorised and candidates identified. They watched as techniques for improving the body, mind and spirit were combined to create a training program that benefited the majority of students. Techniques were developed that allowed students to specialise and played to their strengths. “I can’t see any proof of outside interference,” Trelayne protested. The rise and eventual fall of the Emperor played out as the dust shifted to provide the moving images. They watched the reformation of a unified approach to teach and its eventual failure. “I thought there was only one power,” Trelayne challenged. Eventually scholars would learn that although the different forms of energy could be used in combination, it was much more efficient to wield them separately. Specialisation and division would lead to more potent powers being discovered. Eventually some would revisit the ancient forms and master them. Others would learn to use them accidentally. The universe was evolving and the weapons of war were changing with it. Or so it seemed. And he was right in a way. The gods that Shadow had spawned were second generation combatants and not as dedicated as their predecessors. What they could foresee was how the universe was prepared to move on without their influence. The mortals they had chosen as playthings were the new dominant life forms and even though the gods could crush them with little effort, the worship they received from the little creatures kept them strong. “Yes,” Solomos agreed, glancing at the smug look on Trelayne’s face. “It was unexpected although their imprisonment in a shared dimension meant that their ability to cause trouble was limited.” The smug smile had turned into a scowl. “Their ability to reshape their prison to their liking is commendable,” Noah added and Solomos started to understand that while Noah felt the need to take a stance opposite to Trelayne’s belief, there was no underlying moral preference. In a way the young External was following his true nature by annoying those he considered pompous fools. The formation of a unified Hell from the many smaller prisons had allowed the servants of Darke to regroup. That there had been a unified Heaven had tipped him off that the Celestials had likely reshaped reality to clean up in the aftermath of the war. It had also shifted the old powers out of the way to make room for the new realms they had been working on – for the Celestials were the builders of reality and had no interest in the destructive theatre of war. There it was again, a small jab at Trelayne that showed that Noah was well aware of the little interventions he was making to reshape history, and the Noah was prepared to poke the timelines just enough to put them back on track. He could see Trelayne nodding in full agreement with his statement. In truth he suspected they had fought so hard they had ended up throwing each other out of Hell and found themselves trapped somewhere less friendly. Either way they were not relevant to the lesson and he chose to move on. The world of the mortals was clearly important, but the Externals were already aware of that fact. That it became so important so early on was truly astounding. Trelayne snorted in disbelief. Some of the mortals he had seen couldn’t even throw a fireball. Authors Note: This is a fanfic based within the Conquest of Evil Multiverse; technically this story is the beginning of the multiverse. The events follow their own timeline and are not related to any of my other series. If you have read Conquest of Evil, the events observed take place between The Beginning and the end of the Minion saga. This chapter is intended as an insight into the Externals. If the events seem different than they did during In the Beginning it is because these are events viewed from a different perspective. The images stopped, allowing Solomos to summarise all they had seen. The two young Externals watched with something close to awe and their older companion could understand their feelings. There were few sights that could inspire the imagination of an External, but this was close. One of his young companions grinned wickedly at the prospect of having some fun and twitched the corner of his mouth, adjusting the effects of gravity and slowing the reaction. It wasn’t much, but the shift allowed the destructive waves to catch up to the growing universe and ended it much sooner than it should have. Luckily it was no great loss. The damage was done; there was nothing he could do to correct his young companion’s idiocy. He promptly considered removing the young hellion’s powers and leaving him to float in the void for a few thousand years. But that wouldn’t correct the problem he had come to solve. “If you do anything like that again, Trelayne,” he told the misbehaving child, “I will plunge you into a black hole.” He knew that one day he would be forced to mentor Trelayne and possibly Noah too, so it was better they understood that he was not to be messed with. “Look,” Noah cried, pointing to the rapidly shrinking universe. Solomos looked and was relieved to see that the interference had not caused irreparable damage; the lonely universe was not just fading to nothingness as he had feared and given what they were witnessing, this interference had only aided the natural process. “Oh no,” Solomos groaned. He was going to be in trouble for this. The end arrived. For a long time there was nothing and then the universe was reborn. A lone egg and a number of primitive life forms the only remnant of the old universe. Again it was too late. Trelayne had acted before Solommos could stop him. The only thing he could do now was clean up the mess, again. A click of his fingers and the egg was restored, the frog spawn scattered throughout the void. As they watched the universe forming, the egg cracked and gave birth to the first inhabitant: The One. Solomos sensed that the frog spawn had also hatched, creating untold alternate universes, forming a multiverse. “Because we evolved beyond such things?” Trelayne guessed. “Because we are bacteria?” the young External tried. He could see that his words had taken some of the attitude from Trelayne although there was a look of defiance that he knew could mean trouble later. It was a harsh warning, especially since this being was not their creator. But since he was in one way or another responsible for the creation of everything else in existence, he was close enough. The One slumbered as he had done since the moment he had been overwhelmed by the thoughts and emotions of his creation. It was a mental breakdown on an enormous scale; his mind had collapsed under the strain and he had become a virtual vegetable. Solomos doubted there was any mind left for dreaming. However a a disruption of the sort Trelayne had suggested would likely result in an instinctive response. And in all likelihood the Externals would not survive. They watched events progress, the creation of warriors on both sides to bolster their forces. They watched as Light’s creations were tempted by Darke and how one of them abandoned Light in favour of a new master. They saw Light trap Darke in a prison of light for a time during which his forces grew in strength. Or they would have if not for the actions of the traitor. They saw Light attacked from behind and the sinister duo double team the Avatar of Light. They watched as Light was defeated and left for dead. They saw Shadow appear to heal his brother. “Shadow should have stayed out of it!” Trelayne snarled. It was their nature to fight, light against dark, and order against chaos to the extent where they would ultimately destroy each other without regard for the rapidly expanding cosmos around them. With Protos leading what remained of the Covenant, following the traitor’s departure, the fighting intensified. More and more races were drawn into what had previously been a relatively small conflict. As his brothers were cut down, Protos was slowly pushed into a final confrontation with Darke and his warrior. But Shadow had been busy, restoring Light to a point where the Avatar could unleash a final, desperate attack, one that left the traitor crippled and Darke unable to lead his forces. That Light spread himself so thinly that he could never hope to reform meant that the balance Shadow desired had been achieved. With Light and Darke gone, they watched as Protos accepted his fate and dissolved. “If it ended then why were they still fighting later?” Noah asked. In the early days of Existence, at a time before the war between Good and Evil had really started, there had existed a race of powerful entities known as the Externals. They represented the first attempt to create living beings in the new existence, and were ultimately deemed a failure. The life forms created were too selfish to follow the path set before them. Instead of fighting out the battle between Good and Evil that tormented their creator, they made peace amongst themselves and turned their power against him. In anger their creator had thrown his creations out of his domain, exiling them to reside in a place beyond the normal boundaries of planets, galaxies, universes, realms and dimensions that the normal inhabitants were capable of perceiving. It was a completely separate, very different plane, outside of their creator’s realm yet still a part of it. It was there that they remained, evolving rapidly over a few centuries until they reached a peak of near omnipotence. They were a self-policing society where the many applied the pressure needed to force the few to conform to the rules. For the most part though they were indifferent beings with a tendency to cause chaos, the definition of chaos at that time being to act against their creator’s will. Over the centuries, the importance of the concepts of good and evil grew less and less important to them. At some point most became ignorant of the opposing ideas as the race settled into an ordered state of slightly chaotic neutrality. They chose to refer to themselves as Externals, a show of defiance against their creator. However some wished to return to their creator and were allowed back into his domain; they were charged with the task of watching over and preserving all that he had created, a task that was made easier by their neutral stance. While most of their race were satisfied to reside within their realm, others didn’t like the feeling of being restricted. The Externals split into factions, with each faction finding their own path. Some wandered the void between their realm and their creator’s domain. Over time they found ways to manifest but only so long as they could justify their actions as benefiting their creator’s later children. As long as they were needed, they could remain. Others found that while they could not directly step beyond the confines of their territory, they could influence those within their creator’s domain to play out their fantasies, providing that they were careful not to push too hard. Eventually it was discovered that as long as they were willing to give something up in exchange, they could return. Some gave up the absolute power they had previously enjoyed in return for freedom as beings with powers that were almost absolute. Others gave up their independence and were allowed to remain in service to their creator. One group even surrendered their potential and as a result a great deal of their knowledge and power. They became part of a new race that rapidly grew to become one of the most dominant forces in their creator’s domain, but one that would never reach the level of the Externals. However there were some that realised that they could leave their confinement and retain their power. All that they needed to do was surrender a portion of their power for a limited stay in their creator’s domain. At the end of that time they returned to their home where they once again enjoyed the feeling of being all powerful. Of course such journeys led to misbehaviour and the External became known for spreading chaos wherever they went. Even those that tried to tried to act responsibly were bound to cause more problems than they solved. Some tried to set themselves up as gods and demons, weaving themselves into the mythology of hundreds of galaxies; in a strange twist those that did so eventually forgot their origins and became trapped as the beings they portrayed. And then there was the story of one External who had been so badly behaved that he had been stripped of his powers and dumped naked on the bridge of a star ship in a distant reality. Regardless of their intentions and the unwanted consequences of their actions the Externals possessed incredible powers. Whether those powers were purely magical, technological, a combination of both or even some type of cosmic energy was unknown. They wielded almost unlimited power and were capable of breaking some of the laws of nature, although not even they could destroy energy, a fact that would someday be used against them. From time to time some of their number would feel an urging deep within to take sides in the battle between Good and Evil, a task that was far more difficult since the ideas had become foreign to them. However they did understand conflict and war. And it was those ideas that led to experimentation. Instead of taking an active role as had been intended, they developed the means to turn the war into a game, manipulating those who had evolved following their banishment. They did not see themselves as soldiers, rather as the generals sitting behind the lines. Eventually the games were banned as being too dangerous – for they risked the rediscovery of what Good and Evil meant and that in turn would place them back at their creator’s side – leading another group to depart to continue their games while the rest destroyed all the boards they had created… except one. Why within the domain of the almost godlike race, such a dangerous artefact had been kept was a mystery. But it existence was about to set events in motion within the Externals’ domain, which could be interpreted as a three-bedroom semidetached house with a garage – for the nature of the Externals was beyond the understanding of most outsiders – where at that very moment angry shouts could be heard, that would have far reaching consequences. The sound of raised voices was a rare occurrence. For a long time things had been boring, but when one External had reached the decision to create a son, with his wife’s help of course, others had followed suit. A new generation of Externals had been born and unlike their parents they were once again finding enjoyment in existing. Unfortunately the younger generation had proven rebellious, some breaking the rules that even the most badly behaved External had previously followed. They had taken to directly interfering in the lives of the lesser beings, making them act in ways that were against their nature. It was such an act of interference that had caused the argument that was currently disrupting the peace and boredom of their realm. Solomos made his way to where the two Externals were arguing; unlike their parents, they had taken a name to identify themselves as individuals in addition to their appearances. He groaned as he laid eyes on a huge stone bowl containing a silvery liquid. The children had obviously been experimenting with the banned object. Not for the first time he wondered why External didn’t just destroy the infernal device before it really corrupted their children with its good versus evil nonsense. Solomos knew of the dangers it posed, he had been one of the ones that had played the games and decided to remain after they were outlawed; he was perhaps one of the few to retain an understanding of their creator’s ideas, although he deliberately ignored them in favour of detached amorality. He had urged his peers to destroy the game, but they had decided it was more fun to use it as a means of spying on their creator’s lesser beings, even going so far as to place wagers on the outcome. It had only been a matter of time though before somebody took things too far, as had happened in this case. Solomos peered into the pool and groaned. Why couldn’t the kid have done something half-hearted for once? The interference had caused the destruction of one reality and had destabilised the neighbouring universes; his curiosity was piqued despite the knowledge that as the one who discovered the mess, he would be forced to clean it up. “How did you accomplish this?” he asked. He noticed that one of the boys had a disgusted look upon his face while the other appeared proud of himself. Neither chose to answer, which Solomos found tremendously aggravating. Remembering that he was an incredibly powerful entity and not some mediocre being, he used his innate senses to search the recent history of a dying universe. “What did you do with it?” he asked finally, unsure whether to be angry or impressed at the young External’s ingenuity. The younger entity opened his clenched fist, revealing a swirling ball of energy. It had been a cheap shot, no question about it. In order to win his bet, the young eternal had cheated, and had then been unable to destroy the evidence; with Solomos arriving when he did, the youth had been forced to hold onto it. The younger entity seemed to take a step back, stuttering about how he couldn’t reverse the process and that it was impossible to create a whole universe. “And then?” he asked, slightly amused. Solomos paused in thought. It was a wasteful effort; there were far easier ways to accomplish such a feat, and to be honest, he just didn’t care enough to waste his time in that way. Instead he clicked his fingers and the game was reset, a new universe waiting for the next player; the universe the two Externals had damaged would be lost, but that was the risk of playing with forces they didn’t yet understand. Far Better that they learnt such things sooner rather than later. “We just wanted to know which was the stronger and why,” the loser said. So that was it: in trying to keep to the rules the two entities had failed to understand that the lesser beings were not easily predictable. More than one External had been taken by surprise when he had tried to cheat by watching the event play out only to find they changed when viewed later. Again not a bad idea although Solomos realised they were treading on dangerous ground. And at that point Solomos realised it was already to late. The two Externals were already hooked by the ideas behind the games. The only thing he could do now was hope that they would grow tired of the idea. ~Perhaps if I turn this into an educational experience they will become so bored they will never want to think about such things again,~ he mused. The other youth shrugged. “We are the first creations born in existence and thrown aside because we were too good?” He didn’t believe that, the look of distaste as he uttered the words was clear. Though they were still within the confines of the External’s realm, Solomos had arranged their view so that it focussed outside of any particular reality, into the fabric of the existence itself. In the days since the Avengers had disbanded, Tony Stark had been busy working on other projects. Actually when he wasn’t out drinking, womanising and having a good time, he was working on improving the many suits of armour hidden away beneath his mansion on the outskirts of New York. Steel had given way to new materials just as simple circuits had been replaced by new methods of controlling the suits. A recent collaboration with another scientist had led to new methods of deploying the armour in the field. Having seen the Power Rangers and others in action he had realised how cumbersome some of his designs had been. A little open-mindedness and sharing information with Lightspeed had seen exciting results. There were some projects that Tony had delayed working on. The Iron Avenger was one of them. The large weapon system brought back memories of Minion and the events of that time. It was something he and many others preferred to forget. ~How do you go back to a normal life after something like that?~ he wondered, not for the first time. Minion and his forced had driven the world to its knees before he was defeated. And for those that had fought against him, it was difficult to forget. Stark’s reluctance to repair, rebuild or just redesign the Iron Avenger wasn’t down to the events surrounding Minion. He was well aware there were those within the government that would love to get their hands on a fully functional suit of Iron Man armour without the safety protocols in place. Even SHIELD had not managed to break the security algorithms he had installed. The Iron Avenger was bigger than any of his normal armour and had the firepower to match. It was a piece of equipment he had vowed to never sell. Level Four meant the suit would only accept power when Tony Stark used an exact vocal command while wearing an activated suit of Iron man armour. When he finished the repairs he planned to lock the Iron Avenger to only accept commands from one suit that he would lock behind security that made the Federal Reserve look undefended. The Iron Avenger had been wrecked during the battle with the Elemental Beasts, so this was more a case of finding out if anything had survived as opposed to what had been damaged beyond repair. As expected it seemed that the damage had been sever and corrosion had only added to the problem. He realised that now would be a good time to scrap the machine and remove a potential problem down the line. It wasn’t that simple of course. The Iron Avenger was a weapon system, not a battle suit. It was controlled from a cockpit, not by direct body movements. And the weapons would need a major redesign to work at a larger scale without exploding. But this was Tony Stark at his best doing the thing that he excelled at. Working the systems he had built to help him build, he managed to work up a suitable blueprint in the space of an evening. “What is the flight capability?” he asked, watching as the computer flashed through the necessary calculations. So, no hovering. The suit was big, heavy and too cumbersome to continuously switch jets and maintain position. It was a task beyond the computers and would require too many humans working as a team to accomplish. He wanted to limit access to a five man crew at most. Tony sighed. Antoinette Stark was a distant relative that had made several attempts to claim the family fortune before giving up and accepting an expense account. The woman could spend her way through a credit limit easier than a Democrat president, but she was family and he knew it was easier to find the check book and just sign than to try and convince her to spend less. It was a shame because despite her age, Antoinette had inherited the creativity and genius that made the family rich. He had seen one of her attempts to design a suit of armour and had to admit that some of the features were desirable. It was a shame that she insisted on relying on unconventional methods of powering such designs, namely magic. Sometimes it didn’t hurt to think outside the box. If the Joker had known in life how much trouble he would cause in death, would he have tried to kill himself quicker as part of a sick joke? Nobody could be certain but the makeup wearing lunatic had been recorded as dying multiple times only to turn up again years later. His final death though had been deemed real by those that investigated. So why had a dead man been shown as alive and causing trouble almost four years later? He had been called a lunatic, a deranged psychopathic murderer that would take pleasure from slaughtering the innocence. And while he would before the first to agree that he was not playing with a full deck, he believed that he deserved some credit for acknowledging it. But alas he received no respect, no respect at all. And it really irked him. More so now he was dead. If life he had been known as the Joker, a dangerous criminal that had appeared on the streets of Gotham City and made it to the world stage. He had seemingly died a dozen times and had always found a way to return. His most recent death however had been permanent. Which raised the interest question of how he happened to be alive and sitting in a jail cell awaiting his next opportunity to escape. But something was missing in his life. That little bit of pain that made existence so much more enjoyable. He liked to think of it as Batman. Where was the Bat? He had been missing for almost as long as the Joker had been dead, give or take a year. One day it just seemed the masked fool and his little friends had simply vanished off the face of the planet. Oh there had been some sort of incident and Batman had been caught in the middle of it as usual, but as far as the Joker was aware he had not been among the final casualties. Being a super hero took a huge strain on the body. Especially when the hero in question was just a man in a mask. Bruce Wayne was aware of the discomfort such activities could cause. His muscles, bones and joints had taken more than their fair share of abuse during his time as Batman. The accumulated knocks had left him crippled, something he publicly blamed on a life of fast cars, loose women and extreme sports. The comparisons between Tony Stark and Bruce Wayne were well known. Their success in business, their wealth and their vices were a matter of public record. The difference was that while Tony Stark really was a drunken womaniser known to don a suit of armour to protect the world, for Wayne it was an act to cover his secret identity. Despite being business rivals, there was a healthy respect between Stark and Wayne. Both considered the other competent within their own field. Stark invented things and led teams to bring new products to market while Wayne found the people that could invent things and invested his time and money to make them a success. So when Bruce had received a gift from Stark Enterprises, the gesture was not a shock although the contents were. “Is that a complete suit sir?” Alfred enquired. He put the boot down, picked up one of the gloves and slipped it on. A sigh escaped his lips. Indeed for the first time in recent history, Bruce Wayne was able to move the fingers on his right hand without discomfort. “I don’t think Mr Stark did this so you could go drinking with him,” Alfred commented, holding up the helmet. Bruce chuckled. It was clear that Stark had sent him a complete but unfinished suit of light weight armour. Made of softer material than the Iron Man armour, Bruce had no doubt it was still bullet proof and resistant to swords. It would need to be altered to his requirements, but he imagined that was why it had been left unfinished. “Looks like we’ll be needing a shopping list,” he said. Crime in Gotham had been escalating recently. Maybe it was time to get back in the game. There were mixed accounts about Stark’s decisions to distribute armour not only to Batman, but to other superheroes. Ranging from fully metal armour to other more flexible materials, it had been noted that Stark had established himself as a cornerstone of the superhero community. Later attempts to bring back the Avengers would lead him to call in favours from those he had so selflessly supplied. Some however saw his gesture as a means of protecting against rogue elements. While testing to establish whether or not Stark did plant failsafes inside his gifts were inconclusive due to the reluctance of the owners to damage them, there were rumours that such a feature was used on two occasions. Many have pointed out that the need to deal with possible abuse of his designs was something a man like Tony Stark would have considered. In the same way it is of some speculation that Bruce Wayne maintained a threat level database on every superhero operating around the world. Multiple resources and his innate detective skills meant he was easily able to guess the identities of some of his peers. For a man who didn’t like guns, Batman had an impressive number of bullets that could take down some of his most powerful allies. Some would condemn such preparations as a lack on faith in his fellow heroes. Others would claim that as one of the elders of the hero world, there was a responsibility to make sure that the protectors of the world never became its greatest threat. “As usual I had the parts made by different parts of Wayne Enterprises and then channelled through other suppliers to one of our warehouses,” Alfred advised as Bruce studied the completed suit. “And that warehouse just happens to be the one that never got added to the inventory,” Bruce commented as he finished inspecting a piece of sharpened metal that had been cut in the shape of a small bat. “Okay let’s give this a try,” Bruce decided. Unlike Iron Man’s armour, Bruce’s new costume did not have an entourage of machines to dress him. Nor did it require one since the pieces fitted together like a suit of clothing instead of needing to bolt together like armour. With the speed of somebody used to dressing in confined spaces in a hurry, Bruce was able to don the costume in less than a minute. Pulling the mask into place activated a few of the systems he and Alfred had thought to be useful. Though they had left the television playing in the background, the report caused Bruce and Alfred to suddenly remember that it was there. “This couldn’t be a coincidence could it?” Alfred asked. Bruce shrugged. There was no way Stark could have foreseen such a turn of events, but the timing was definitely something he would question later. First of all he planned to head to Arkham and find out what was going on. Where had things change? Most people couldn’t see it, but for others, like Peter Parker, it was obvious. It had started after the defeat of Minion, when the government had ordered that collective super hero activity on American soil cease. Plans had been made for a new unified group to protect the world, but nothing had been done. As weeks turned to months it had been easy to allow the Power Ranger to handle things. Gradually retirement had been a welcoming idea. ~Although not as much as a summons to the Daily Bugle,~ he thought as he exited the lift and made his way to Mr Jameson’s office. When Peter had stopped working as Spider-Man, he had also put himself out of work. Jameson paid for pictures of the wall climbing menace and had little interest in Parker’s other work. No Spider-Man, no pay check was the Editor-in-Chief’s final word on the matter. And since Peter was freelance and supposed to turn up when he had something worth selling, it had been a while. Unsurprisingly the print room staff noticed his entrance and huddled close, waiting for the spectacle that was bound to follow. They had all suffered their employer’s wrath, but it seemed that Peter Parker was capable of pushing Jameson to an even more intense level of anger, normally just by being there. “Get in here Parker!” was bellowed before the photographer had a chance to knock, causing him to swallow and the crowd to listen all the harder. Peter did as he was told, reminding himself that he was not an employee and could leave at any time. He was not surprised to find the office was just as he remembered it and Jameson aside from a few more grey hairs, was just the same. “Remind me Parker, why do I employ you when you don’t show up for over a year?” Jameson asked. Jameson snorted. He hadn’t gotten to the position of Editor-in-Chief by allowing himself to be hoodwinked. And there it was, the real reason why Jameson wanted him. Spider-Man sold papers, but without pictures, people doubted the stories were true, which given that Spider-Man had not been seen for months was probably the case, didn’t help the Daily Bugle sell papers. Jameson needed photos to prove that Spider-Man was still around, so that his campaign against the wall-crawling vigilante could continue. Peter wondered what Jameson meant about the other freaks. He had not given it much thought, but there had been a lot less super-powered villains in New York since Spider-Man had disappeared. Did that mean that Spider-Man was responsible for them turning up in the first place or was it just a huge coincidence. A part of him hoped it was the latter although in his heart he realised there was some truth to the statement. He opened a drawer and pulled out a folder filled with newspaper clippings. “I’m sorry Mr Jameson, but I can’t afford to fly around the world on a Spider-Man hunt,” Peter explained. Jameson grumbled something about ungrateful kids not realising opportunities before pressing a button on the intercom and asking his assistant to come in. “Yes Mr Jameson,” Brant replied before hurrying off. “Yes Mr Jameson, thank you Sir,” Peter managed before heading out the door. Jameson’s face slowly returned to normal and he turned his attention to the day’s news unaware that he was already a part of a huge story. In another place, unreachable by those that did not belong there or were not permitted to be there, a trio of watchers regarded the showdown between the Earth’s heroes and inevitable destruction. His two companions maintained their silence, one urging the heroes to fight on while the other delighted in the prospect of destruction. Light burst from the crystal as the Red Ranger held it in position. Red, yellow, pink, green, blue, gold, silver, purple, white and black energy streamed into the hole. In places where the coloured energy mixed he could make out shades of cyan, magenta, crimson, navy and orange. The Earth seemed to tremble as the corrupted magic within was forcibly ejected by the Zeo energy. Pyramidas rocked, as its hull grew thin. Before long it would disappear and if the Rangers were unsuccessful, so would they. He poured his soul into the crystal and was amazed when the energy increased. But despite his best efforts, the corruptive energy of the Sword of Ragnarok remained, kept in check by the Zeo Crystal’s power, but capable of destroying the planet as soon as they relented. “It’s Time for a Gold Rush!” he heard Trey call, before a burst of golden light joined the power from the Zeo Crystal and chased the darkness from the Earth’s depths. “The effects of the Sword of Ragnarok are almost gone,” Noah noted. “Jason, they’re weakening,” Trini said. Jason nodded. He had hoped they would be able to wait until the Earth was totally cleansed before using the Great Power to reignite the planet’s failing energy. Now though they didn’t have a choice, the planet was too close to death to delay further. With luck they would finish before the Earth exploded. Otherwise, their actions would prove futile. They clasped hands, allowing the Great Power to flow through them. They didn’t need to direct it, the magic was sentient and knew what it had to do. As their hands glowed their respective colour, lines of energy emerged, linking them together, forming a golden ball of light at the very centre of their circle. “Go,” Jason whispered and the ball shot into the Earth. For a moment there was no change, then slowly the lava seemed to calm and the quaking planet quietened. The Great Power and the Zeo Crystal worked in unison, restoring the shattered and corrupted lines of magic with new life bringing energy. “It’s not enough!” Aisha realised after the changes ceased. All the power they could imagine and it was not enough to fix the damage. Every time it crossed with the power placed there by the Sword of Ragnarok, it was corrupted by the destructive energy. 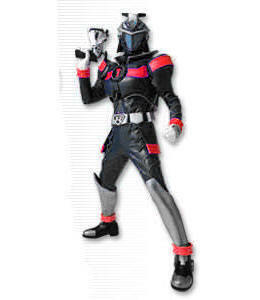 The Zeo Crystal was proving incapable of purging all the darkness so long as the sword remained intact. “They’re not going to make it are they?” Noah asked. Solomos shook his head and then thought. The Externals were incapable of destroying energy and he still had to get rid of the energy Trelayne had stolen. The Externals had caused the destruction of one universe, perhaps saving this one would make up for it. With a flick of the wrist, he allowed the stolen energy, the life force of an alternate universe to flow to the Rangers where it was channelled into their efforts. The others had all powered down, the energy from John’s ring now heading directly into the Zeo Crystal, his hands disappearing in the process. “Green Lantern’s Light!” As John spoke the words, he felt the full power that he had always feared would corrupt him rushing to the fore. Years of forced denial were over as the power burst from the ring, adding to the powers already flowing into the Earth. The powers merged with those of the Zeo Crystal, removing all impurities from the Ley Lines as the Zord finally succumbed to the environment and they were plunged into a molten tomb as energy they had fed into the Earth erupted, inside the Dark Dimension. “Wait a minute! You gave them all that power and their universe is still doomed? How is that fair?” Noah was angry. Trelayne’s protest was cut off by a sharp look from his elder. It was a considerable time later that Solomos had the chance to double check to make sure that Noah and Trelayne had not caused permanent damage. The fallout from their activities had been felt by the whole community. Many had called for the game to be destroyed. Even more had called for Solomos to be punished for almost destroying the multiverse just to teach them a lesson. And then there were some who were worried for a different reason. Solomos had taught Noah and Trelayne about Good and Evil intending for them to grow bored and never dabble in such matters again. But instead he had inspired the troublesome Externals and despite his intentions, were once again involved in the affairs of the lesser beings. He had introduced a new strain of chaos and nobody could predict what would happen next. In the distance he could see Noah and Trelayne talking, no doubt discussing what to do with their time. The two Externals disliked each other, but given the inconvenience they had caused, they were the only company available. In a rare show of pity Solomos decided to offer a way for them to enjoy themselves without breaking the rules. He snapped his fingers and conjured the universe the two had destroyed previously. There was barely anything left of it now, but with a few nudges it was transformed into a new reality that they could play without risking their existence. He thought about it and then wrote a few words giving it a title: The Armageddon Game. He would let them continue playing their games and learning about Good and Evil, but in a way that would not threaten the other Externals. And perhaps in doing so, they would eventually teach the other Externals something. Solomos looked up as the other entity approached. By now the events surrounding Noah and Trelayne’s game were well known. The repercussions would be felt for some time. “And when he does step out of line, you want me to do the same to stop him?” Solomos guessed. With that the entity vanished, leaving Solomos to ponder his words. Was showing the young Externals the truth a mistake. He hoped not, but only time would tell. Feeling exhausted from his rare show of responsible behaviour, Solomos decided to have some fun.